YouTubers who vlog together stay together. One of the (many) amazing things about the digital industry is that both men and woman can be successful. No matter what gender or sexuality you are, there is place for you in this inspiring and money making community. Also YouTube embraces love and relationships resulting in endless relationship and producing some of the most influential power couples of the 21st Century. Power and PewDiePie go hand it hand. 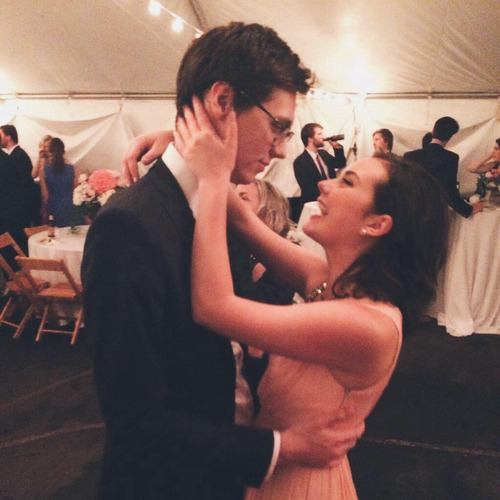 Felix and Marzia relied on the internet in the early stages of their romance due to the long-distance. Marzia both compliments and contrasts Pewds, she is adorable but also quirky and witty. Dream Team! The most fashionable couple on the internet. Fact. Tanya and Jim not only are they childhood sweethearts, but they have serious style yet still remain fun and approachable. Arguably the most famous YouTube couple, they are known by just one name- Zalfie. Okay, so Mike isn't technically on YouTube but is successful in his own right and constantly shows respect and support for Fleur's career. Fleur and Mike are also both amazing cooks, have the most beautiful dogs, home and humour - jealous AF. This talented couple prove that humour is they key to a long lasting relationship. We challenge you to watch their wedding video and NOT cry. A relatively new love affair, we all wanted it to happen and it finally did. With a sharp sense of humour, Hazel and Jack are perfect for each other. Another couple that proves long distance relationships can prove the test of time, Estee and Aslan have the best taste in home decor and Estee has proven that beauty videos can be smart and achievable. Also the best thing about Estee's travel blogs? Aslan's commentary which is full of facts and humour. Aslan also has his own YouTube channel called Li0nsmane which includes recipes and DIY projects. This beautiful British couple are taking YouTube by storm with love advice and unscripted comedy. She's one of the first beauty and fashion vloggers and he's the iconic filmmaker, these two have more talent than most of us have in our little finger! Joey and Daniel travel the world together and are so supporting of each others creativity and aren't afraid to share how proud they are of each others achievements. Go Team Internet!